Manipur’s water resources minister Letpao Haokipon Thursdaysaid the state government is planning to take up necessary measures to tackle the sliding, depression and sinking of river banks (in Sugnu and Kumbi constituencies) before the monsoon season next year. Informing that repairing of the river banks breaching, sliding and sinking is the duty of the water resources department, Minister Letpao while replying to a question on the second day of the assembly session, said the department will do its best. “Though the humans cannot completely prevent the natural calamities, the department will try to take maximum steps to tackle it,” Letpao who also holds youth affairs and sports portfolio added. 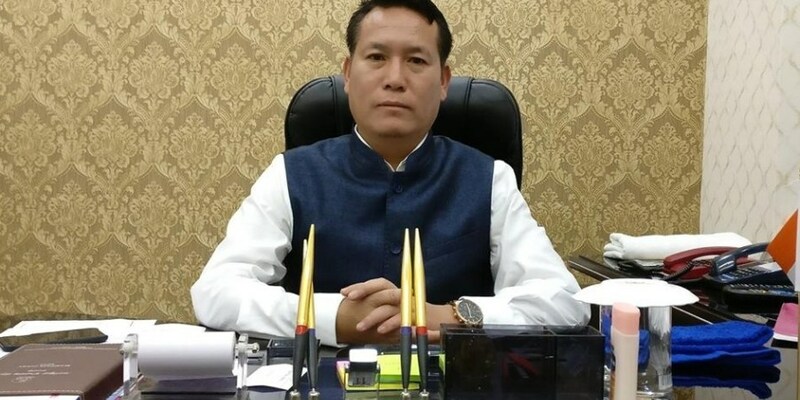 Minister Letpao was responding to a question on the breaching and sliding of rivers banks in Sugnu and Kumbi constituencies in Manipur’s Bishnupur and Kakching districts when the water gates of Ithai barrage were opened to release excess water during monsoon. The question was raised by Kumbi MLA S Bira during the question hour of the assemblyon Thursday. Ithai barrage is a 35 ft high dam across Manipur river and a major component of Loktak Multipurpose Project which was taken up in 1983 to provide regulated storage to generate power and lift irrigation, maintained the water level of Loktak Lake at a constant level of 768.9 metre throughout the year. As a result, it has not only adversely affected huge agricultural as well as settlement area on the periphery of the lake, but it changed the entire hydrology of Loktak. Considering the public demand, Chief Minister N Biren Singh had even urged Prime Minister Narendra Modi to review the Loktak multipurpose project and Ithai barrage for a permanent solution to the frequent floods in the State during his meeting in Guwahati in August this year. People of Manipur had witnesses five times flood since cyclone Mora hit the state as the year received unpredicted rain across the state round the year. As a result it claimed 20 lives and affected nearly 85,226 hectares of agriculture land, 16,968 hectares of fish farms, 19095 houses, 421 government infrastructure including 128 schools, 43 bridges and 35 market sheds, according to the official reports.